For any business to become successful-traffic is needed. This is true for both offline and online businesses. It is because of my love to solve traffic problems of new website owners that I am putting together this guide called the Nearly Ultimate Quora Traffic Guide. If however, you have not heard of Quora before, let start with the definition. This is an online question and answer community just like Yahooanswers. Its difference lies in the fact that members of the community have the ability to vote up or vote-down an answer. Secondly members of Quora are professionals in their chosen niche. This is what makes Quora different from Yahoo answer. 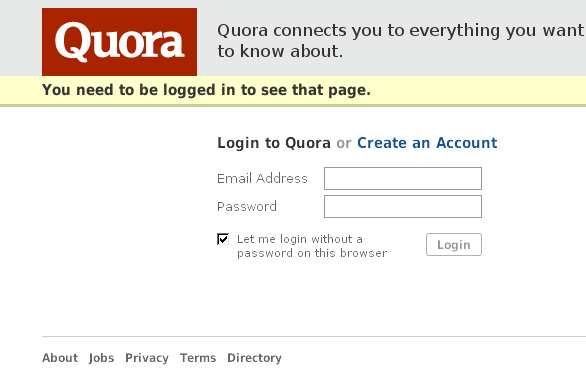 You can sign up to Quora using either your e-mail or face book or twitter profile. This is a plus as it shows that people on Quora are real people-compared to those of Yahoo answers. If you decide to use your social media profile to register, you’ll be required to authorize the app-which you’ll need to accept- in order to start using Quora. - The bio- Filling the bio gives you the opportunity to tell the community more about your person. On clicking the bio-you’ve the option of filling in your social media experience, or blogging experience. - Under the social media Experience-you can list your twitter link, Face book link or any other social media link which other members of Quora can follow. - Under The Blogging Experience-you can write a short bio about your experience why blogging including a back link to your blog. 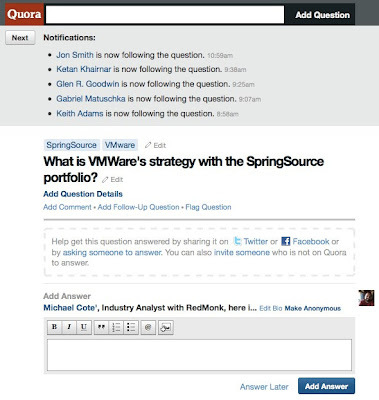 Link Your Quora Account to your Tumblr Or Wordpress Blog. 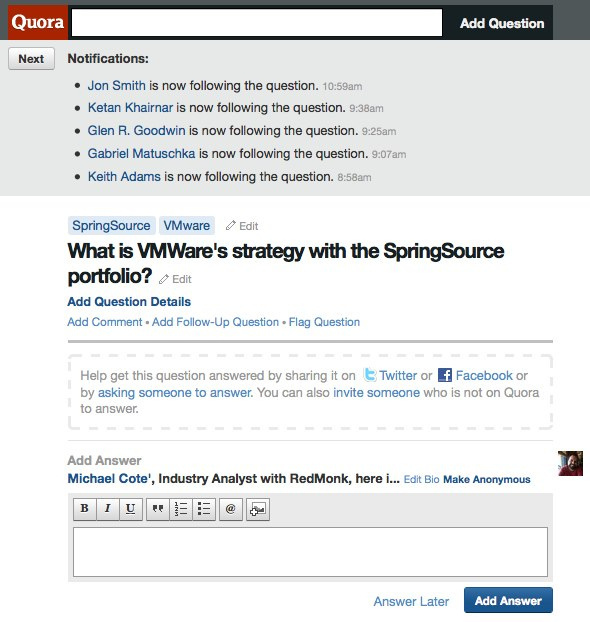 Another way you can drive traffic to your website is by linking your Quora account to your blog. But this option is only available to those on Tumblr or Wordpress platform. You can ask a question either normally or anonymously. It is however advisable to ask question using the visible platform as it give other member opportunity to know who asked the questions-hence they could view your profile and follow you. N/B Make sure your bio has already been written so that when they visit your bio-they can decide to visit your site. In Quora there are different niches where people post questions. These niches are called topics. It is highly recommended you follow topics related to the content you post on your blog, as it’s good for generating SEO Traffic. The advantage of doing this is that whenever a person posts a question in a niche you follow- Quora notifies you. 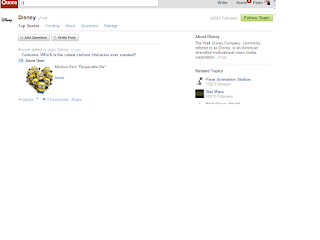 There are also numerous answered an unanswered questions on Quora from which you can source questions to answer. This can be found just below related topic. Whenever you select a question to answer-make sure you have an in-depth knowledge of the answer you wish to provide. By so doing you would place yourself as an authority in that niche, hence making people to follow you in Quora. This subsequently leads to incremental traffic to your blog. Secondly, for questions that has already been answered in your blog, post part of the answers to the questions on quora and link back to your blog. N/B: The answers provided should be detailed or your answers may be voted down. This is because members may see it as self promotion. Make Use of Anchor Text. Another way to drive traffic to your blog or website is through the use of anchor text with the exact keyword you have in mind. Do you use Quora to promote your site or blog? What results have you seen so far? Please share your thoughts in the comments! Thanks for Joining My Community. If You have any question just click the contact button above and I will respond to you as fast as possible.